When discussing 90s R&B, we often talk about Dru Hill, Jagged Edge, and Jodeci. But there’s another group that quietly but definitely made their mark in that era. Blackstreet is one of those gems that deserve more credit than they receive. 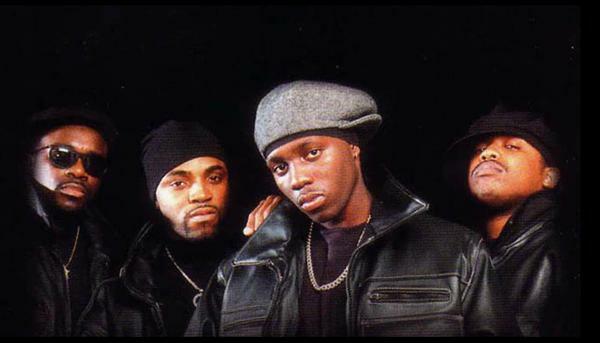 In 1991, Teddy Riley and Chauncey Hannibal founded the group. Their self-titled debut album featured the hit single “Before I Let You Go” led by Dave Hollister. This unique and soulful blend of voices gave us love songs as well as hits for the dance floor. Mark Middle and Eric Williams came in to replace Levi Little and Hollister, who went on to pursue a solo career. 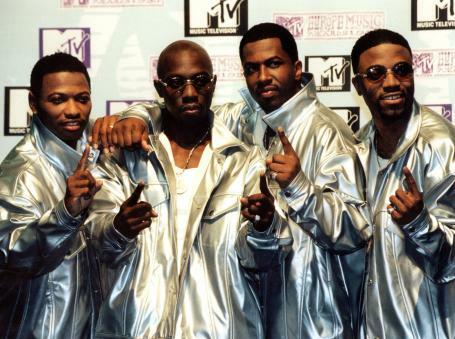 Blackstreet’s 1996 sophomore album “Another Level” went four times platinum. It earned them a Grammy with the No. 1 hit “No Diggity.” No one can deny the feelings that are triggered when they hear the single “Don’t Leave Me.” Due to the success of that album, they ended up collaborating with Mya and Mase for the single “Take Me There” on the “Rugrats” soundtrack. Although the group released two additional albums, “Another Level” still stands as one of my favorites from the 90s. Teddy Riley’s production shined as bright as Mark Middleton’s voice. This album had what many lacked – balance. They weren’t afraid to be vulnerable in their lyrics, but they had fun at the same time. One track called “Let’s Stay in Love” wasn’t a single, but it pulls on my heartstrings every time I hear it. I can’t say that about a lot of music today. Because of personnel change and legalities, the group was just not able to stay together. No matter who’s in front of the mic, their music will forever hold a special place in my heart. Thank you, Blackstreet, for making timeless music for those of us who appreciate real talent. My memories of Blackstreet and their music are very fond. I used to be a huge fan of all the work Teddy Riley put out during the early 90s and late 80s as a very young True. However, once Guy and all those legendary New Jack Swing artists took a backseat, Blackstreet rose to the occasion and would end up making waves in the game for some years. There are plenty of artists out there who had a solid impact in the 90s, but only a handful who remained consistent during the decade and Blackstreet fits that description. 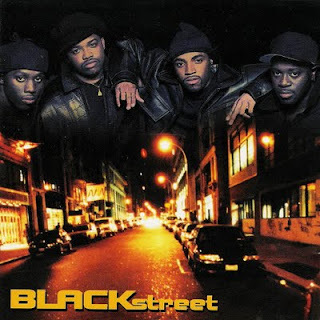 While not as popular as Boyz II Men or Jodeci, while not as raunchy as Silk, or even as infectious as 112 or Dru Hill, Blackstreet managed to combine all the attributes to provide a well rounded listening experience. Where they would showcase themselves as vulnerable in their music at times, but also unapologetically honest as well, they provided something different from the other artists in that era. That was the beauty of that era in general to be fair: everyone came with their own identity and with Blackstreet, this was no different. My favorite song is "Don't Leave Me", as the voice box feature Teddy used for the voices was always fun to me (not so much now with autotune being overused but back then and since the origin, it was fun). "Don't Leave Me" was just flawless as a track to me and every time "you've got your problems, and I've got mine...", it causes me to sing along with it. I also enjoyed the "Before I Let Go", and that bridge and hook on the song was always so catchy to me. Dave Hollister during his days as a front man for the group absolutely worked perfectly. There's no denying that at all. When I look back at Blackstreet and their music, it's always just as dope as the first time I heard it and that's rare. Revisit some of their songs and enjoy. Any thoughts about this group? Post them below in the comments.